Alaska Gov. 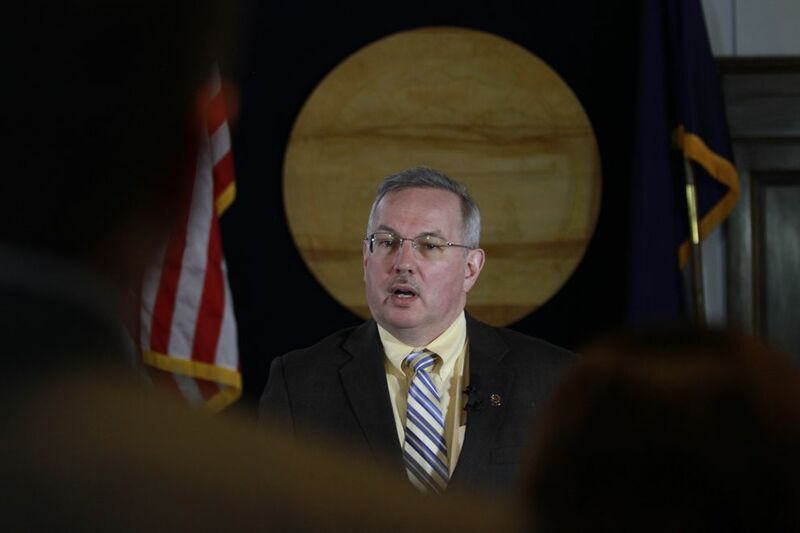 Bill Walker's administration emailed nearly 20,000 state workers Tuesday warning they could be temporarily laid off if the Legislature fails to pass a budget before July 1, the start of the next fiscal year. "On behalf of Gov. Walker, Lt. Gov. (Byron) Mallott and our administration, I assure you this possible shutdown is not a reflection on your service," wrote Sheldon Fisher, the state administration commissioner, whose department oversees human resources and personnel. "If we have to take action in July, it is solely due to the status of the fiscal year 2018 budget." The layoff warnings — to be followed with contractually required paper mailings Thursday — are the latest milestone in the Legislature's march toward the June 30 deadline. State lawmakers, divided over how to fix Alaska's $2.5 billion deficit, have already missed two other deadlines: the flexible 90-day limit on the regular session imposed by voters, which came and went in mid-April, and the 121-day limit set by the state constitution. Tuesday was Day 13 of a special session called by Walker, with the next deadline — the one-month constitutional cap on the length of a special session — not coming until mid-June. The special session itself appears to have stalled, at least publicly, with just one committee hearing scheduled for this week. Officials at unions representing state workers described members as resigned about the layoff warnings, even if they were optimistic lawmakers would reach a budget deal before a shutdown happens. A last-minute deal was reached May 31 last year, meaning that the layoff notices were not mailed June 1. But the state did mail the notices in 2015, when lawmakers didn't reach a budget compromise until mid-June. "I think people are a little bit inoculated to it," said Dennis Moen, business manager of Public Employees Local 71, which represents about 1,800 plumbers, snow plow drivers, cooks and other state workers. "People are frustrated and it's one more thing to deal with. But I think people are probably on the hopeful side that it can get resolved." Some state workers did air their irritation and impatience on social media, with one, Carole Triem, declaring on Twitter that "we're people, not chess pieces," and that "threatening layoffs every year is a terrible way to retain the state's best and brightest employees." The warnings come as hundreds of teachers in Anchorage have received similar notices, with school district officials waiting to see which spending plan the Legislature ultimately approves. The budget proposal from the largely Democratic House majority would hold schools spending flat, while the Republican-led Senate majority is proposing a 6 percent cut. The two chambers are still sticking to their competing deficit-reduction proposals. Both rely on a restructured Permanent Fund and smaller dividends; the House supports closing the remaining budget gap with a statewide income tax while the Senate prefers using money in the state's savings accounts. The delay is also causing anxiety for corporate executives, like those involved in Alaska's major commercial fisheries in the summer, which depend on oversight from the state government. "We need managers and data to be able to understand how much salmon are coming back — and if we don't know that, then we don't go fishing," said John Garner, president of North Pacific Seafoods, noting that recreational fishermen would also suffer in a government shutdown. Even as the warnings were emailed Tuesday, the leaders of the House and Senate weren't conceding any ground. "As the presiding officer in the House, I'm done counting — I know it's up to six or seven weeks that we've sent a fiscal package to the Senate and all we've gotten in return are promises to take action. And here we are literally within sight of a government shutdown, which nobody clearly wants," House Speaker Bryce Edgmon, D-Dillingham, said in a phone interview. "I would say that it's time to quit playing politics with people's jobs, with people's futures in Alaska, and it's time to sit down at the table and arrive at a solution that works for everyone." 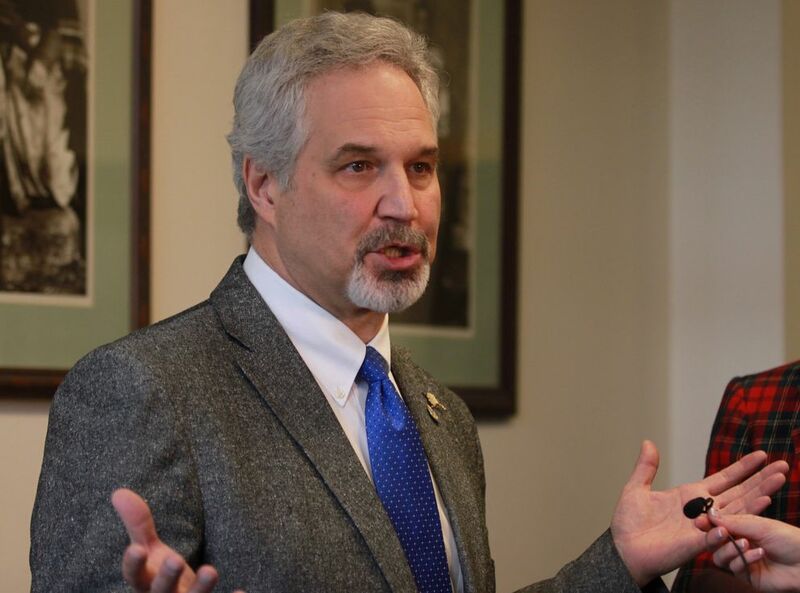 Senate President Pete Kelly, R-Fairbanks, responded to an interview request with a prepared statement that said the House controls the scheduling for a key committee charged with resolving differences between the two chambers' budget proposals. "So we can only meet when they come to the table," the statement quoted Kelly as saying. He added: "We don't want the people of Alaska to have the uncertainty of layoffs in their lives. That's why passing a budget and a fiscal solution remain our top priority. The Senate's plan uses our reserves to fund government well into the future, without imposing new taxes. We're here to do what's right for the people of this state." House leaders said their Senate counterparts, however, wouldn't agree to an offer to pass a kind of interim budget to pay for what Edgmon described as "critical services" if the two sides can't agree on a broader spending plan before the end of June. Kelly, the Senate president, responded to that assertion with another prepared statement that said if the House calls a meeting, legislative leaders could negotiate a "complete budget." "That way, we won't be picking and choosing whose jobs are more important — they're all important," the statement quoted him as saying. The Walker administration hasn't yet released a contingency plan that would take effect if a shutdown occurs. In 2015, the Legislature passed a partially funded budget before June 1, meaning that the state would have had enough cash to pay for key services like troopers and courts even if a fully funded budget didn't pass before July 1. This year, lawmakers haven't agreed on any budget, making it difficult to tell what services could remain after July 1, said Minta Montalbo, a spokeswoman for the state administration department. "We're in the midst of conducting a full legal analysis of what the implications would be of a full shutdown," Montalbo said. "We don't know yet."